Considered one of the most beautiful and welcoming cities in Cuba, Cienfuegos is celebrating its bicentennial on April 22, 2019. The only city in Latin America founded by the French under the Spanish crown, it was initially christened Fernandina de Jagua, and soon after changed its name to honor Don José Cienfuegos, the island’s governor at the time of the city’s foundation. Surrounded by a wide bay in the south-center of Cuba, the growing city is home to one of the largest ports on the island, in a naturally privileged environment hugging the sea, and is a source of pride for its inhabitants, called Cienfuegueros. So are its architecture and its symmetrical urban layout, in particular its well-preserved historical center, declared by UNESCO as a World Heritage Site. Although small compared to other Cuban cities, Cienfuegos has a unique charm. The cradle of numerous legends, its beauty has inspired musicians and poets, and earned it the title of the Pearl of the South. 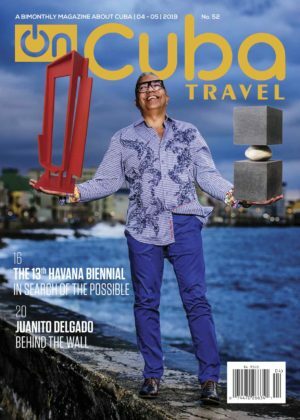 On the city’s bicentennial, OnCuba recommends five distinctive sites in the city and its surroundings that should not be missed. One cannot visit Cienfuegos without stopping by Martí Park. 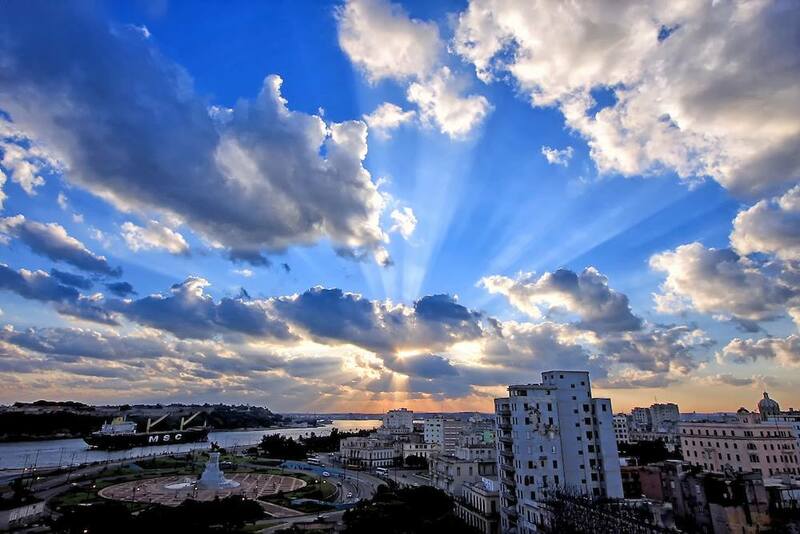 Named since the beginning of the twentieth century in homage to Cuba’s national hero, this plaza is the original heart of the city, since it was there that the French settlers designed the layout of the first streets. Extending the length of two blocks, the park is crowned by the sculpture of José Martí, erected in 1906, the work of Italian Giovanni Nicolini. In addition, there is an abundance of trees and fountains, an eclectic-style gazebo, and busts of local personalities. A colorful, French-inspired triumphal arch and two marble lions guard the entrances to the park. Among the surrounding buildings, mostly neoclassical and meticulously preserved, there are several of the most notable buildings in the city, such as the Government Palace, the Provincial Museum (former Casino Español), the Cathedral of the Immaculate Conception, the Tomás Terry Theater—one of the most important venues in Cuba—and the Ferrer Palace, whose rooftop terrace offers beautiful views of the city. Home to timid pigeons and a meeting point for city dwellers and visitors, Martí Park is a National Monument and marks the beginning of Cienfuegos’ boulevard, the busiest shopping street in the city. Nearly two kilometers long, the Paseo del Prado is the main artery in Cienfuegos and one of the most important urban corridors in Cuba. Although its origins date back to the colonial period, it was not until the first decades of the twentieth century that it acquired its current appearance and name, influenced by the eponymous promenade in Havana. The Cienfuegos Paseo del Prado is an avenue that runs through the historic center from north to south, and boasts a pedestrian promenade with trees and benches for walkers and lovers to rest. It is adorned with monuments and sculptures such as that of Benny Moré, the famous son musician who sang about his love for Cienfuegos, created by Cuban sculptor José Villa Soberón, where visitors often stop to take photographs. Constructions of different styles can be found on either side, in a succession of portals and columns appreciated by passers-by. The House of Lions, the Bishopric, the Provincial Library and the Luisa Theater are some of the emblematic buildings abutting it, as well as beautiful residences and private restaurants. The Malecón seafront begins just where the Prado ends and is an extension of the same avenue. Although it’s not as long or as famous as its Havana counterpart, this seawall is a symbol of Cienfuegos and an ideal spot to enjoy the breeze and the wonderful view of the bay, to practice sports, or to share a sunset. Built in 1930, the Malecón stretches for several blocks south to Punta Gorda, an elegant residential area that narrows as it approaches the sea. Along with private homes, there are many buildings such as the majestic Cienfuegos Club, the Jagua Hotel—the most important in the city—and the Palacio de Valle, an authentic jewel of Cuban architecture whose eclecticism harmonizes Mudejar, Byzantine, Venetian and Gothic elements. With views of the sailboats that depart from the Marlin Marina, and the seagulls and gannets that fish in the Cienfuegos waters, the Malecón and Punta Gorda are musts for those who travel to the Pearl of the South. And although they are not part of the historical center, they are considered within the UNESCO-declared protected zone given their patrimonial value. Faithful sentinel of the sea, the Castle of Our Lady of the Angels of Jagua, a military fortification of Renaissance style, was built even before the founding of Cienfuegos. It rises away from the city, on the west side of the bay, just where the narrow entrance channel allowed it to counteract the incursions of pirates and smugglers. Commissioned by Spain to French engineer Joseph Tantete, its construction lasted twelve years until its completion in 1745. Between its walls the legend of the blue lady was born, an apparition that responded to the call of a mysterious bird and that made a young Spanish ensign go mad. With its three levels, its moat and its drawbridge, today the castle is a museum displaying pieces of artillery, antique furniture, religious objects and other elements of local history. From the terrace you can see the nearby Pasacaballo Hotel across the bay, and there’s a picturesque fishing village nearby from which boats leave the bay to get to the city. Visiting the gardens requires leaving the city, but it’s worth it. Located 15 kilometers from Cienfuegos, it is the oldest garden of its type in Cuba. It was founded in 1901 by American entrepreneur Edwin Atkins with the support of Harvard University, which appointed him in charge of the gardens for six decades, promoting tropical plant research. Currently, the Cienfuegos Botanical Garden offers the opportunity to interact directly with nature. More than 1,400 plant species from all over the world are within reach of visitors, mostly forests and trails that extend over 97 hectares. Orchids, cacti and succulents, bamboos and jagüeyes are among its most important treasures, although palm trees are undoubtedly its greatest relics. From the very Cuban royal palm trees to rare specimens, they make up one of the most complete collections in the world, astonishing visitors. They augment the greenery of a site that complements the architectural beauty of Cienfuegos in its bicentennial.